Heavenly Father, I am silenced at the grave of Your Son. In justice You called for Him, who knew no sin, to be made sin for us. Yet You permitted Your Son to die in innocence. In love He came to us but He was rejected by hate. 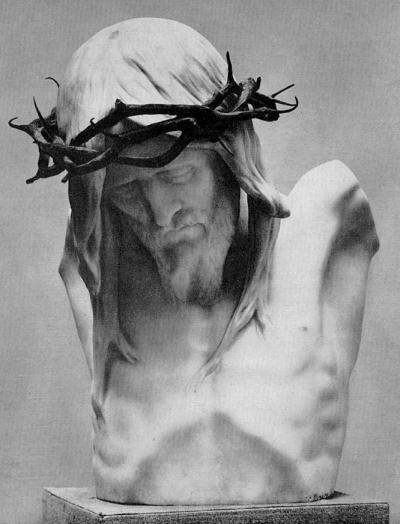 He taught us obedience but men rebelled against Him. I confess that a great mystery confronts me at this tomb of sin and death. 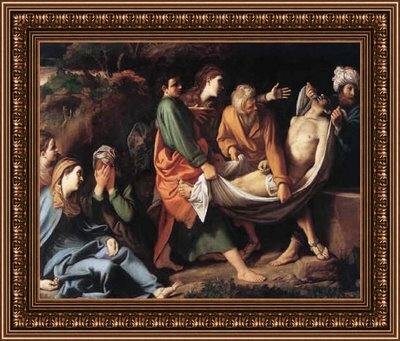 He was buried behind the great seal of my sin and my death. By faith I know also that He who died is the One who unlocked the great secret of Your love. His tomb is my tomb. He carried with Him to the grave my sin and my death that He might break their hold on me. Trusting in the Lord’s promise that He would rise again on the third day, I come not to mourn Him but to confess the sin that He would leave buried. Have mercy on me O God! Have mercy on me. Amen. O Christ, Lamb of God, slain for the sin of the whole world, with penitent heart I come to Your Cross, pleading for mercy and forgiveness. 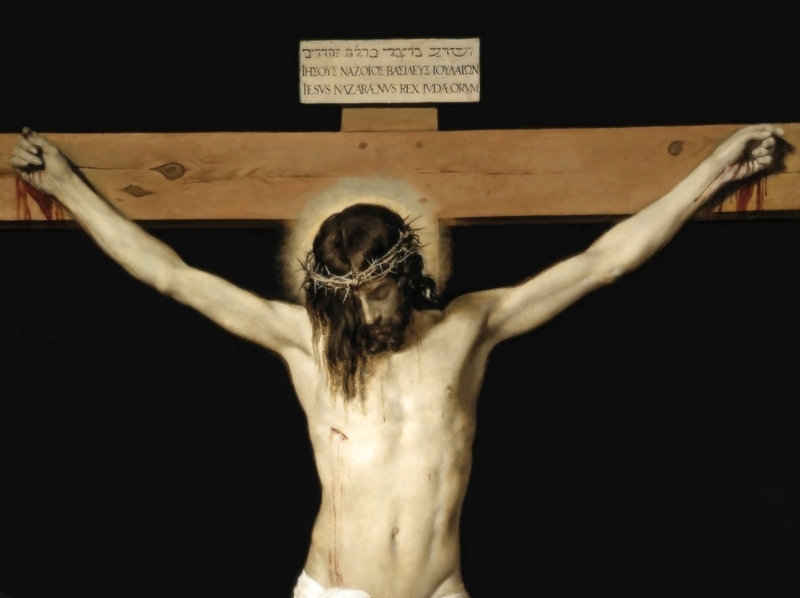 My sins—and they are many—have added to the burden of Your suffering and have nailed You to the accursed tree. For me You tasted the agony of the utter darkness that I might not perish, but have everlasting life. Have mercy upon me. O Christ, Lamb of God, embrace me with Your love, and forgive me all my sins. Your death brings healing to my soul, peace to my mind, cleansing to my heart. If You would mark iniquity, I could not come; for my hands are unclean, my lips are sullied, and my heart is blackened by sin. But beholding You bleeding, despised, forsaken, dying, pierced for my sake, I come to be cleansed and forgiven. 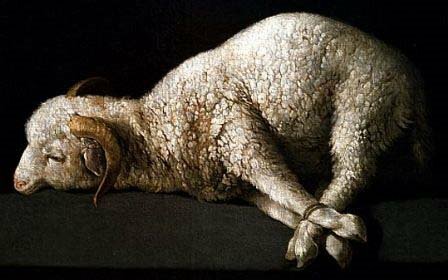 O Christ, Lamb of God, grant that I may hate sin and wickedness more and more as I behold You in Your great agony. My grateful heart today finds hope in Your words, comfort in Your promises, and salvation in Your finished work on the Cross, by which You have overcome sin, Satan, and death. O Christ, have mercy. O Christ, have mercy. O Lord, hear my prayer. Amen. Eternal Savior, how can my heart show its appreciation of Your love? How can I serve You best, who has loved me and given Your life for me? You has sealed to me the forgiveness of all my sins and offered me reconciliation and peace in the blessed Sacrament which You institute on this day. You have promised to give me with the bread and the cup Your body and blood for the remission of all my sins. Oh, what amazing love! What riches of divine wisdom! In awe and wonderment I ponder this gracious gift. May I ever appreciate this blessed Sacrament that You have bidden me to use as a memorial of Your death and a monument of Your redemptive love. May I come worthily each time I approach Your altar. O Savior cast me not away from Your presence. Let not my sins remain with me because of impenitence of heart or because I doubt Your Word and promises. Let me become one with You and all Your saints as I receive with them this blessed Sacrament. Make me Yours, and give me strength to amend my sinful life and walk closer to You. Preserve in Your Church this blessed Sacrament given on this sacred day. Let all who partake of it receive worthily forgiveness, peace, and salvation. Grant to me and all those that are Yours to be faithful to Your Word and Sacraments, that Your name be glorified, Your will be done, and we at last live with You in Your eternal kingdom forevermore. Amen. 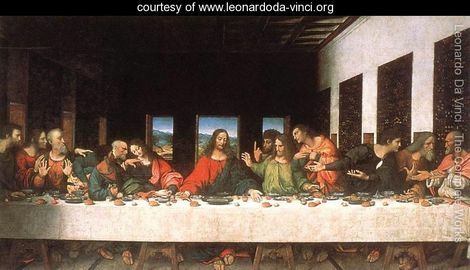 Holy Thursday or Maundy Thursday? As the Senior Editor working with church resources at Concordia Publishing House, I have decisions to make about what appears in those resources. I am used to explaining the reasons for those decision. Sometimes I’m asked to explain things that appear in CPH products but are actually determined by our use of the Church Year, or the lectionary, or the liturgy. Since I love digging into and understanding more about the Church Year, the lectionary, and the liturgy, and write often here about them, I thought I would share this afternoon’s endeavor with those of you who still might look in on this poor oft-neglected blog. Each year we purchase CPH’s downloadable Church calendar resource (i.e. 2010-2011 Church Year Calendar-Series A”). Our altar guild uses this for the colors of the altar paraments. Holy Thursday is listed for the color White. The CPH book “Lutheran Worship History And Practice” lists scarlet or purple. I know that LSB also has white as an option but shouldn’t the color default to purple on the calendar? When we set the calendars in our various resources I was in contact with the Commission on Worship of The Lutheran Church—Missouri Synod and worked closely with them. As that commission no longer exists. I can certainly tell you why we have made the choices we have at CPH, but as for the intricacies of rationale behind what appears in the Church Year calendar of Lutheran Service Book, I could only suggest that you may want to make contact with the former members of the Lectionary Committee, Lutheran Service Book Project. They are: James Brauer, Arthur Just (chairman), Daniel Reuning, D. Richard Stuckwisch, and Gregory Wismar. When working with the Church Year and the LSB lectionary there are often options offered. When bringing these options into CPH products, it often means that I, as the editor, have choices to make. After some trial and error, and extended discussions with Commission directors and members, it has been agreed that when an option is presented, CPH will consistently offer the first option. The Commission’s point of view was that the first option offered was the majority or preferred text or practice. So for Holy Week, starting with the LSB calendar in 2006, the options are S/V, scarlet/violet. Scarlet being stated first shows the Commission’s decision that it is the preferred color for observations during that week, with violet the alternate option. 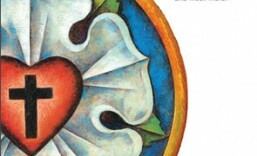 It should be noted that in LSB for the first time I am aware of, the Thursday in Holy Week is differentiated between Holy Thursday and Maundy Thursday in an LCMS calendar. During the day of Thursday in Holy Week the preferred color is scarlet. 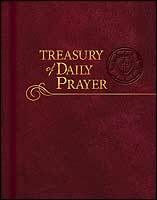 All prayer offices and worship services held during the day would be observed using scarlet paraments. Now, Pastor, some of what follows is from my own understanding and study, so should not be totally attributed to the Commission; where I err or am unclear, the fault is mine. There has been, since at least the ’90s, a increased interest in, and practice of, the ancient Triduum among Missouri Synod Lutherans. The three services of the Triduum—Divine Service on Holy Thursday, the chief service on Good Friday, and the Easter Vigil—comprise a single unit. The Thursday in Holy Week becomes a day of transition, with the Triduum observed, there is a ‘break’ that happens at sunset between Lent preparation and commemorating Christ’s sacrifice on our behalf. Sunset (the traditional—liturgical—beginning of the new day) on Holy Thursday, is the vigil for Good Friday and begins the Triduum (cf. the General Notes on page 506 of the LSB Altar Book). 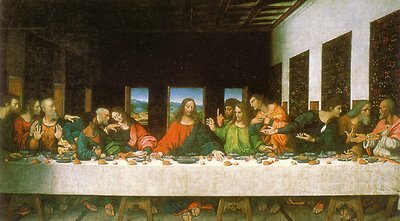 When the Divine Service is celebrated on the Thursday in Holy Week (technically, when it is celebrated in the evening as the vigil of Good Friday), it is observed as a feast of Christ. I suspect this came about when the ILCW introduced the three-year lectionary and the traditional John 13 Gospel (TLH and the common lectionary) was replaced by the institution narratives in the respective A, B, and C Gospels. As a feast of Christ , it is consistent to use white paraments. With the LW calendar, white was the optional color to violet. Because the Triduum has been raised as the preferred practice in LSB lectionary and resources, our CPH resources designate white as the color for the day because for most congregations, the Divine Service of the Thursday in Holy Week is the chief service of the day. Incidentally, you may have also picked up in this response why the lectionary committee moved from designating the Thursday in Holy Week as Maundy Thursday to Holy Thursday; for with the shift from John 13 to the institutional narratives as the appointed Gospel, the mandatum of Maundy Thursday is without context. Well, as you rush off to celebrate your Holy (Maundy) Thursday, what are your thoughts and insights? Maybe there is a Commission member or former director lurking about that can authenticate or correct what I have offered. I’m all ears. Like you, I love this stuff. Grant that Your suffering and death, proclaimed for the salvation of mankind, may by the power of the Holy Spirit awaken in many a deeper love to You. O Lord, have mercy upon me and all sinful mankind, and create in me and all that seek You a clean heart, holy desires, and an undying love. Hear my prayer, gracious Redeemer. Amen. our mortal form for mortals’ sake! still seeking not himself, but us. for us gave up his dying breath. to guide, to strengthen, and to cheer.